Usually at this point of the jumps season most of the juveniles have made the switch; had a run or two over hurdles, and if good enough are being targeted at the Triumph Hurdle or the Fred Winter at Cheltenham. However, there are always the odd few that arrive late to the party for one reason or another. And today there’s a couple of interesting newcomers on either side of the Irish Sea. Charles Byrnes knows a thing or two about training hurdlers. 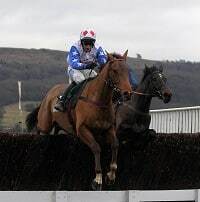 Solwhit was the yard’s flag-bearer for almost half a dozen years, winning the Irish Champion Hurdle, the Aintree Hurdle and his career culminating with success in the World Hurdle at Cheltenham. In 23 starts over timber, he was only out of the first two on three occasions. His career earnings were just shy of £900,000. It was such a blow when he died all too soon whilst schooling at Tipperary in November 2014. 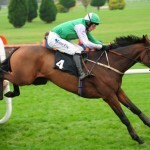 His latest newcomer runs in the opening maiden hurdle at Thurles. Cilento was trained on the flat by John Gosden, and running in Godolphin’s famous blue silks. He’s a powerful looking unit, and was last seen in a Class 4 handicap at Newmarket during the summer and was rated in the 80’s having previously won a handicap at Ascot. He’s a son of Raven’s Pass out of a Simon Du Desert mare. His sire doesn’t necessarily instil confidence in a smooth transition from flat to jumps, but the dam’s side gives more hope for optimism. Simon Du Desert has been part of a number of decent National Hunt horses, including the classy French hurdler Good Bye Simon. Further back on the dam’s side of the pedigree we have a reliable National Hunt sire Kaldoun, and he was responsible for the likes of Spadoun and Smadoun, also familiar names among the jumping ranks. The latter is of course the sire of Smad Place. Cilento will be taking on Aidan O’Brien’s Cradle Mountain among others. By Mastercraftsman, he was rated in the 90’s on the flat and impressed when a fine third at Fairyhouse on his hurdles debut in January. If Byrnes’ gelding is a less certain fit to the jump racing fraternity, then at Bangor Venetia Williams appears to have a filly more likely to make a seamless transition. Live Miracle is another French import, and was classy enough to be mixing it with the likes of Sea Calisi on the flat at Lyon. That filly only just missed out on winning the Group 1 Yorkshire Oaks in the summer. Venetia’s four-year-old is by Falco, the same sire as Peace And Co, and is out of a Trempolino mare. She was running over middle distance trips on the flat and her pedigree suggests she’ll adapt to obstacles. She’s thrown in against the boys at Bangor and it’s a competitive enough looking starting point. There’s sure to be improvement for both the experience and the run, especially as her last appearance was back in June. Today will give clues as to her potential, and with Cheltenham adding a mares’ novice hurdle to the Festival schedule there is now greater incentive for investing in likeable fillies. Let’s hope Bangor gets the green light and along with the meeting at Thurles we get the chance to see these youngsters in action. There’s still time for one or two juveniles to announce themselves on the scene, with the big spring festivals just around the corner. Who’s up for the Festival treble? Sprinter Sacre and Solwhit both head off to Punchestown aiming to complete a rare feat – a seasonal hat trick of Festival victories. Istabraq was the last horse to win races at the Cheltenham, Aintree and Punchestown Festivals, and that was back in 1999. Then, he won the Champion Hurdle, Aintree Hurdle and Punchestown Champion Hurdle, achieving his highest ever rating of 181 in the third of those races. That in itself shows what a challenge it is, and Charlie Swan, who rode Istabraq in those races, told the Racing Post that although Istabraq was a horse with bags of ability, that wasn’t enough to ensure a triple success. When he won the Champion Hurdle in 1999, he came to Cheltenham on the back of one defeat in 12 races, stretching back over two years. That loss was a head defeat to Pridwell in the 1998 Aintree Hurdle. His eight races beginning with those three yielded seven wins, including two Cheltenham Champion Hurdles and a second place. That’s the talent Istabraq had, yet Swan says he needed more than that. So how likely is it that Solwhit or Sprinter Sacre can emulate Istabraq and do what Rooster Booster, Moscow Flyer and Fota Island all tried, but just failed to manage? And is it possible that two horses will do so in the same year? That’s a pretty clear vote of confidence behind his chances, but what of Solwhit? In Charles Byrnes he has a very capable trainer. You couldn’t have predicted his two wins at Cheltenham and Aintree; they were over a distance of three miles and were the first two runs he had beyond two and a half miles. What’s more, he’d only won once over that distance. He may still have more to show over three. But the biggest challenge Solwhit will face is a horse he hasn’t come up against before, and which ran in the Mares' Hurdle at Cheltenham, but skipped Aintree. 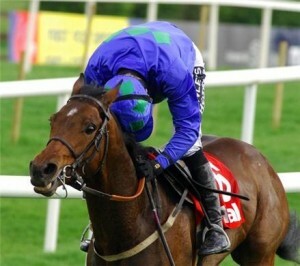 Step forward Quevega. If she is fit and lines up, she might well be the fly in Solwhit’s ointment. https://www.geegeez.co.uk/wp-content/uploads/2018/09/geegeez_banner_new_300x100.png 0 0 IanS https://www.geegeez.co.uk/wp-content/uploads/2018/09/geegeez_banner_new_300x100.png IanS2013-04-12 09:31:082013-04-12 14:06:53Who's up for the Festival treble? Racing at Cheltenham is rarely anything other than top class, dear reader, and the weekend just passed was like a 'mini Festival' with so many trainers keen to get a run into so many horses when they'd normally try to avoid meeting each other prior to the March meeting. So what did the action tell us, aside from the fact - pointed out to me numerous times - that Faasel is not quite as reliable a stick as I'd envisaged. Trying to explain to people who simply want winners the concepts of value and the long term benefits of using trends can sometimes be pointless. So, to those who just want winners, sorry but you'll not find any guarantees of that here on any given day. But for the vast majority of you who understand that if you generally take 14/1 aboutÂ horses that start at 11/1 (as Faasel did), you'll come out in front. 1. Spirit River is a hurdler. He hates fences, and has now fallen on both attempts in novice chase company. Anyone who takes the 20/1 with Betfred (or even the 33/1 best price with William Hill) wants their head examining. As it stands, he must be half those odds to even line up in this race, given his high class form over the smaller obstacles. And running in a 2m5f race is a curious preparation for a two mile championship contest, in any event. 2. Reve De Sivola is not one to rely on for a Cheltenham win. Despite taking the novice chase that Spirit River fell in, this was his first victory in seven attempts at the Cheltenham HQ of jump racing. The horse to take from the race was probably Wishfull Thinking, who finished a length and a bit behind RdS,Â having been badly hampered by fallers on the way round. Wishfull Thinking would have appreciated a bit more pace as he travels very well, and he might make up into an interesting contender for a race like the Johnny Henderson Grand Annual which, these days, is the last race of the Festival I believe. 3. Midnight Chase not only has a touch of class, he also has some guts to back it up with. I had expected the weight and the slightly stiffer competition in the Majordomo Hospitality Handicap Chase to find Neil Mulholland's charge out on Friday. But he proved me wrong in fine style. Despite lugging more lead than all bar the increasingly apathetic Neptune Collonges (should be retired probably, or sent hunting at least), he had a great time of it out in front, gradually raising the tempo under a spot on Dougie Costello ride, to overhaul the only horse who dared to challenge his front-running rate, Presenting Forever. The second horse was in receipt of seventeen pounds from the winner, and they were strung out like Christmas fairy lights behind. Whether this was a Gold Cup-challenging performance is a moot point, as the horse should be considered on his (and his connections') merits to date in my opinion. I will say this though: I feel quite strongly that this is a changeover year in the Gold Cup hierarchy, and as an eight year old there's likely more improvement in Midnight Chase than any of Imperial Commander, Kauto Star or Denman. There will need to be! 4. Al Ferof may take a while to get over his tumble. Second behind Cue Card in the Cheltenham Bumper in March, Al Ferof made his eagerly awaited hurdling bow in the last race on Friday. He received robust support in the betting exchanges, and cantered to the front before two out. He then proceeded to make a total horlicks of the obstacle, and took a nasty fall. Al Ferof obviously has lots of class, and a very high cruising speed. Those two elements alone will win bumpers and other flat races, but you have to be able to jump if you want to get to the top of the National Hunt tree. I'd be wary of taking short odds about this chap until I've seen him put in a full round of jumping. Nevertheless, he remains a bright prospect with that caveat firmly in mind. 5. Woolcombe Folly may not be done winning yet. 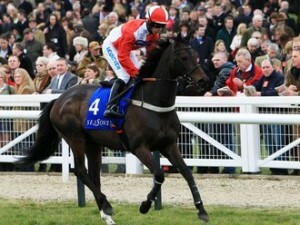 I took an interest in this one last year, when I hoped he'd run well in the Arkle. In fact, he ran a stinker at 25/1. Prior to that, he'd won his last five chases and hurdles races, and since then he's racked up another three victories, including two at Cheltenham - this being the second of those. He'll likely have an entry for the Champion Chase now. Having been available at 110 on Betfair last week for that race, I'm not too keen on taking the 10/1 now. That said, if you can forgive his bad Festival run in March, there's a lot to like about this fella. While Master Minded, Big Zeb and co. may be a different kettle of kippers entirely, it's far from folly to suggest that Woolcombe will win again between now and the Festival. 6. Sam Winner is by far the best juvenile novice seen so far. So far, being the operative phrase. Before you pile into the 9/2 best price, bear in mind that only one of the last seven winners of the Triumph Hurdle had run over hurdles in UK prior to December. Katchit was the exception, and five of the last seven winners were not seen on the track before this Wednesday's scheduled Newbury meeting. 7. 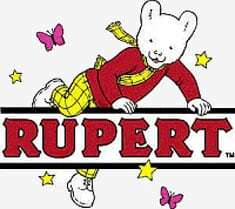 Time For Rupert is the best staying novice seen out so far. Whilst juvenile hurdlers are generally brought late to the party prior to winning the Triumph, the same is not true of RSA Chase winners. Indeed, you have to go back to 1998 to find the last RSA Chase winner to debut over fences later than the end of November. That was Florida Pearl. In that context, Time For Rupert must have a favourite's chance as, with the exception of the long absent Mikael d'Haguenet, there's very few unexposed horses in the race. Rupert's Cheltenham record is impeccable with three wins and two seconds from five starts. That the two second's were behind Tidal Bay and Big Buck's over hurdles, says a heck of a lot about the class of this chap and, despite the RSA being a race where outsiders have a good record, he's a worthy favourite and would be much shorter if trained by Messrs. Henderson or Nicholls. 8. Zaynar is a recalcitrant monkey. If you're still keeping the faith with former Triumph Hurdle winner Zaynar, you're either very patient or very stupid. Ahem. Either way, you're probably skint, as the horse is an absolute recalcitrant monkey. He's been beaten in his last five runs, four of them as favourite, including SP's of 13/8,11/8, and... wait for it... 1/14 (!!!!!) On that 1/14 day, there was a 'shrewdie' who got the 1/12, trying to win a hundred quid for an investment of twelve hundred. Pity for him, especially if he's been on a money-back mission ever since. Quite simply, do not touch this horse. If he wins, fair play. But there's bound to be far more reliable propositions - at better prices - in his races. Master Minded: Brilliant when he jumps 'em! 9. Master Minded is a machine. OK, so he was disappointing at the Festival in March, when only fourth to Big Zeb. But the balance of Master Minded's form is exceptional, including a facile win against a strong field in the re-routed Tingle Creek on Saturday. It was his first win at Cheltenham since the Queen Mother Champion Chase of 2009 (two losses since), and the way he gobbled up the ground between the pace setters and himself turning in was mightily impressive. He's no price for the Champion - 2/1 best and as short as 6/4 in places - and I just wonder if there's any chance of him running in the Gold Cup. As preposterous as that may sound (and may also turn out to be! ), he's 300+/1 on betfair for the longer race, and that's a route that the same connections' Kauto Star has taken in the past (Kauto fell when 2/1 favourite for the Champion Chase in 2006, before winning the 2007 Gold Cup). With both Denman and Kauto Star celebrating their eleventh birthday on January 1st, and Master Minded due to be eight on the same day, he's clearly the future. Whether he stays that far is obviously the subject of conjecture, but stranger things have happened. I've had a throwaway tenner at odds of 323.26! Talking of the Gold Cup, perhaps the best performance with regards to that was the staying-on third from Somersby. 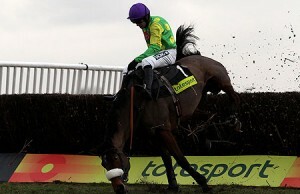 Also a staying-on second behind Sizing Europe in the Arkle last season, this boy seems to be crying out for further. He's quoted in the Champion Chase (two miles), the Ryanair (2m5f), and the Gold Cup (3m2f), and ante-post punters have to second guess connections as to which race he'll choose. For that reason alone, I couldn't advise a bet at this stage. But the way he finished here, you'd hope they'd step him up to at least the Ryanair trip. 10. Menorah is a credible Champion Hurdle contender. The Grade 2 International Hurdle was a fascinating contest, in that it brought together three horses of immense potential in Menorah, Cue Card and Silviniaco Conti. The latter two were unbeaten novices and putting formidable home reputations on the line. Both were usurped in unambiguous fashion by Philip Hobbs' Menorah, and he is rightly being touted as a strong Champion Hurdle contender. So, whilst I'm very pleased with the ante-post position I have on the race (and I hope some of you followed me in), I do think much / all of the value has now gone and, if anything, Menorah and Peddlers Cross may be bigger prices on the day than the 4/1 and 6/1 respectively they are now. Solwhit remains interesting. He's 16/1 in a number of places and 10/1 in a number of places. That disparity is marked in a race such as the Champion Hurdle and indicates a real discord in terms of bookies' perceptions of the merits of his ability. He certainly has a level of form that is at least as good as what Menorah and Peddlers have achieved to date, and in that regard, he has a modicum of value in the 16/1 still available. Ultimately, the best value in this race may now be with the reigning Champion, Binocular, who is surely too big at 5/1 with bet365. Sure, he got beaten in the Fighting Fifth, but he was beaten in that race last year. 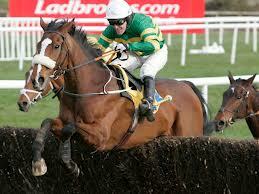 He was eased by McCoy once his challenge petered out that day, and he's sure to be MUCH more combative in March. The big question is will he win his next race and truncate in the market? Or will he go even longer? Either way, no horse this season has run to the level he did when winning last year's Champion Hurdle, so 5/1 must be at least fair odds on the repeat. p.s. Just a quick word on dear old Khajaaly, the Geegeez Racing Club horse, who won his second race in a row on Friday. He had to work a little harder than when dotting up at 25/1, and the odds were 'only' 3/1 this time (backed by many from 4/1), but he still did it cosily, and there may... may... be more in the locker. It's more than we dare hope for, but hope is most definitely what we have. There are few pastimes in the world, dear reader, that give the everyday working class Joe (or Matt) the same chance to meet with sporting royalty than horse racing. I mean, imagine trying to have a quick chat with David Beckham. Or hitting a few balls with Tiger Woods or Andy Murray. It's just not going to happen, unless you're a multi-millionaire offering to sponsor one of those overpaid icons. But, in our little equestrian microcosm, dreams can become reality. Today, I will fulfill a minor sporting ambition of mine, when I meet the great jumps jockey of all time, Mr Anthony Peter McCoy. McCoy, champion jockey for fourteen straight years, and holder of virtually every NH record worth holding, continues his quest for the 'elusive' fifteenth title with a book of rides at Fontwell this afternoon. And in the feature race on the card, the 3.20, he will ride none other than Night Orbit, the horse in which I own a piece. It's not the case that you can ring AP's agent and ask for him to ride (unless you're David Johnston or the Queen or some such). Rather, AP's agent rings up your trainer and demands that you put the greatest jockey (sorry, Mr Francome, but that accolade is no longer yours) on your horse. And who in their right mind would refuse. Sure, it's a bit tough on an honest and hard-working jockey like Mattie Bachelor, who misses out today. But, really, it's a no-brainer and the sort of thing that happens frequently enough. It is as ferociously competitive a heat as I've seen for many a long Monday. Eleven runners go to post, and the complete outsider finished second in a Cheltenham Festival race on his penultimate start! - 'Olly' (as we call Night Orbit) has been racing on the front over hurdles. There are four or five who like to make the pace, so ideally we'll sit in behind the early speed. - The going is likely to be on the soft side of soft, if that makes sense, meaning it will be a fierce test of stamina. - 'Olly' is moving up two furlongs in trip, having never raced beyond two and a half mile before. Personally, I think the trip should suit, but there's no evidence in the formbook to support that perception. - Aside from the Grade 2 race in which Orbit finished behind Zaynar (!) last time out, this is the toughest assignment to date. It is certainly the toughest race he's had a legitimate chance of winning. - This is bound to be the quickest race 'Olly' has encountered, and there is a niggle in my mind that he might just be found out by that. - Against that, 'Olly' has more improvement likely than virtually every other runner, and his rating increments from race to race bear that out. - Moreover, AP McCoy could have picked any horse bar Over The Creek, favourite Aldertune, and Fruity O'Rooney, and the regular pilot would have been 'jocked off' for him. He (or his agent) chose Night Orbit. So, he'll get every chance (and then some) from the plate. My verdict? Honestly, I've got no idea! I've gone through the form, and he's a bit to find. I've gone through the likely pace in the race, and this is the key I think. If Olly can go with them at a strong pace, and stay the extra quarter mile, he's in there with a great shout. The first of those two 'ifs' is significant though, and I hope my nagging concern is unfounded. Obviously, as I'm wont to do, I've invested fairly robustly win and place. I'd be disappointed if he's out of the first four, which means a place wager has a decent chance of paying off. Staying with the wonderful world of hurdling, and there were two significant (perhaps?) 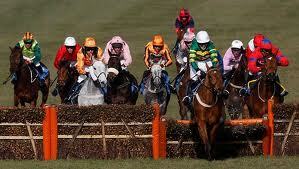 Champion Hurdle trials this weekend. Punjabi, the reigning champ, was usurped by upstart Medermit at Haydock on Saturday. Despite there being only four runners, it looked a reasonable gallop in the claggy underfoot conditions, and there was no fluke about Medermit's victory. Although I wouldn't be sure he'd confirm placings with the Champ in March, I do expect him to be a player, given both the horse's and the trainer's (Alan King) record at the Festival. Indeed, Medermit was one of just a handful I gave a chance to in that preview back at the start of December, along with Punjabi, Celestial Halo and Go Native. I wouldn't want to change that quartet for any other now. Solwhit won pretty much unchallenged yesterday in the Irish Champion Hurdle, prompting many clueless money-grubbing bookies to make him favourite for THE Champion Hurdle in March. In my opinion, that Leopardstown race was as far from a Champion Hurdle trial as is possible to be, with two strong candidates only, and a wearying 'quag-slog' ensuing. That Celestial Halo was only fourth was a little disappointing, but I think he'll prove far better on good ground at the Festival. Solwhit's lack of Festival form and apparent preference for flat tracks leads me to an inclination to lay this one at around 4/1. One more thing. If you thought Solwhit's was a high class performance, consider this. The maiden hurdle earlier on the card over the same distance was won in a time just 1.2 seconds (or around five lengths) slower than Solwhit, and the winner carried two pounds MORE than Solwhit. Would you want single figure odds about Rite Of Passage in the Champion Hurdle? 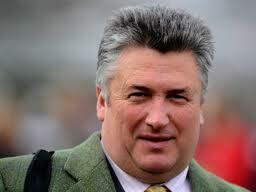 â€œSolwhit went off at 5-6 and won like an odds-on shot should, in conditions heâ€™ll probably not face at Cheltenham. â€œBy our reckoning it remains a wide-open Champion Hurdle, and nothing we saw on Saturday or today has convinced us otherwise. Weâ€™re happy to lay the field at 5-1." A Much Better Race Than The Champion Hurdle? Day four of the booze and puntfest that is Punchestown, dear reader, and today's fare not only sees Ladies' Day but also a brilliant hurdle race at 5.30. Tenacious Champion Hurdle winner and reigning race winner, Punjabi, takes on up and coming young lady, Quevega, who was just brilliant at Cheltenham. The supporting cast sees Solwhit (impressive Aintree Hurdle winner, who beat yesterday's impressive winner here, Fiverforthree); Sizing Europe; Muirhead; Hardy Eustace; and, Jered all try to take them on. To put the race into context, the reigning Champion Hurdle winner is only THIRD favourite to win today. It is an amazing cast of champs, and should truly be a race to savour. But who the heck is going to win it?! The stats tell us that no favourite has won for nine years, and yet the last six jollies all finished second! Although not that many have tried, no mare has won the race in the last decade which, allied to the favourites' frustrating record, puts me off Quevega (despite her brilliance at Cheltenham). But... eight of the last ten winners came from the first three in the betting. This brings in Solwhit and Punjabi. Although the former's best form is over further, and Punjabi is a pure two miler, I think that Solwhit looks the most likely winner in the ground today. It will be testing ground, there is a fair chance that Hardy will take them along apace, and Solwhit has been highly progressive this Winter. I'll only be having a small wager, because there are many other credible alternatives. But what a humdinger of a race to savour! - 11 of the last 12 winners were Irish trained. On form, and on the stats, Mikael looks bombproof. I'll be doubling him up with Solwhit, sitting back, and savouring. https://www.geegeez.co.uk/wp-content/uploads/2018/09/geegeez_banner_new_300x100.png 0 0 Matt Bisogno https://www.geegeez.co.uk/wp-content/uploads/2018/09/geegeez_banner_new_300x100.png Matt Bisogno2009-05-01 11:59:322009-05-01 11:59:32A Much Better Race Than The Champion Hurdle?